Home / Blog / Clear The Clutter And Keep Mice From Getting Cozy. Clear The Clutter And Keep Mice From Getting Cozy. Clean up inside and mice will clear out. De-cluttering and organizing your home doesn’t have to be a drag. Try some of these cool and trendy tips that won’t make you feel ashamed about having junk out in the open. These ideas will give you the opportunity to add style to your home without displaying big plastic tubs. Buckets are great for kid’s rooms and/or play areas. You can get them in various sizes and colors for items such as stuffed animals, toys, books, shoes, whatever your kids have just lying around. Use your imagination. mudrooms or entryways for shoes and winter socks. Shadow boxes work in any room of a house. They provide wall decor while giving you more areas to store little things, like those pretty perfume bottles that are piling up in the closet. This is also a fun way to display 20 or so extra nail polish bottles in your bathroom and add a pop of color to your wall. A clean and clutter-free home is the 1st line of defense when protecting your home from pest and rodent invasion. Rodents like mice & rats love finding a tucked away place to build a nest and having extra storage items around gives them more places to hide and breed! Consider your family’s health and safety — not only does clutter create hiding places for pest infestations, it encourages the buildup of dust and dirt, as well as creates tripping hazards. Don’t allow things into your house that you do not need or won’t be used. It’s wasteful. If you must do so, then use the “one in, two out” rule. Get rid of two things to bring in that one new thing. If you can’t, then you know it’s not important. Donate things that haven’t been used in years. Ask yourself “Will I really use this someday like I keep telling myself?” when you know you haven’t used it, or even remembered it in years. On the plus side, donating your unused items will give you a sense of fulfillment and accomplishment. Remind yourself that your value is not in your stuff. What you own does not make you who you are. Hoarding can have adverse effects on individuals and their families. Hoarders and their families often endure economic burden, impaired functioning and health risks. The human, financial and emotional costs of the health risks can be high. Too much clutter goes hand in hand with an increased risk of fire, spread of disease and rodent and insect infestations. 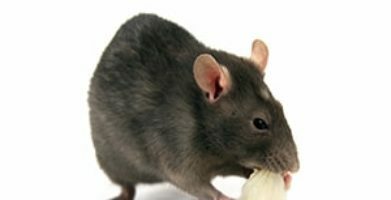 Rodents and insects are very commonly found in areas of clutter and unsanitary messes. Hoarding is a compulsive action and can be difficult to overcome, often requiring professional intervention. Most people with clutter around their homes aren’t destined to become hoarders. But learning more about the condition serves as a good reminder to watch for signs in loved ones. Offer to help clear out a closet or basement if you notice their clutter piles or organization changing. Remember an organized, de-cluttered home is a big factor in achieving a healthy lifestyle for you and your family free of health hazards. Built to last: If it’s going to sit in storage for any length of time, cardboard won’t cut it! Mice love chewing up cardboard boxes for nesting material, and bugs like to eat the glue that holds the box together, so opt for hard plastic totes instead. For extra protection, throw a pouch of Stay Away® Rodents inside the container — everything will have a nice, fresh scent the next time you open it up. Wash it first: Pests like moths and spiders love quiet, undisturbed places. 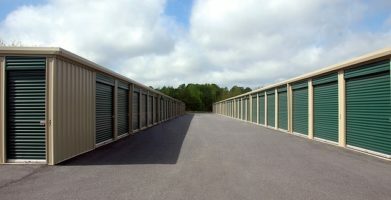 Anything in storage is a dream home and the contents inside provide the perfect feast. Wash all towels, blankets, clothing and fabrics you’re planning on storing to make sure there’s nothing for moths to feed on — moth larvae (the pests responsible for ruining your fine fabrics) don’t just feed on furs, silk, and wool — they love any organic material like stray hairs, fur shed by pets, and sweat or body oils left behind. These steps will also ensure there are no stowaway spiders hidden in the folds. Put it on ice: If you’re storing delicate fabrics like a silk sundress or cashmere sweater, stick the garment in the freezer for a few hours first. Moths can’t survive the cold — they’ll freeze to death and your clothing will live to see another season. No food: Maybe you didn’t quite finish the box of graham crackers or bag of marshmallows at the last bonfire, but don’t even think about packing them away for next year. Check and double check any bags, small containers, or pockets for snacks and crumbs too. Rats and mice have an extremely strong sense of smell and will be attracted to any source of food you may have missed when packing things away. Make room for more: Sometimes you don’t need to put things into storage, you just need a little more space with adequate ventilation to prevent the ideal moth infestation conditions of moisture + once worn items. A tie rack like this, or this, can be used for more than just ties — try hanging tank tops, swim suits, or silk scarves from it to store a lot of items in a small amount of space, without leaving an open invitation for pests. If the shoe box fits: Shoe clutter is a serious problem, but storing sandals and other seasonal footwear in boxes can leave your home susceptible to pest infestations, as cardboard is commonly used as a nesting site during long a transport from port to retailer. To be safe and keep pests out, dispose of the shoe boxes before you bring them into the home. An adorable shoe rack like this from our friends at The Container Store makes use of vertical space, and looks irresistible! Don’t let seasonal storage stress you out — use these simple solutions to make life a little easier. As if being more organized isn’t enough of a reward, you’ll also be preventing pests naturally by removing the things they love most: easy access to food and cluttered places where they can hide. For extra protection against household pests (and a fresh scent too! ), you can use a natural pest repellent like Stay Away®. You’ll feel confident knowing that your home is free of pests and poisons while storing your stuff the right way. Great informative information. I will be sure to post your website on my Facebook page. Thanks. De-cluttering and organizing your home doesn't have to be a drag. Try some of these cool and trendy tips that won't make you feel ashamed about having junk out in the open. These ideas will give you the opportunity to add style to your home without displaying big plastic tubs. Buckets are great for kid’s rooms and/or play areas. You can get them in various sizes and colors for items such as stuffed animals, toys, books, shoes, whatever your kids have just lying around. Use your imagination. Consider your family's health and safety -- not only does clutter create hiding places for pest infestations, it encourages the buildup of dust and dirt, as well as creates tripping hazards. Don't allow things into your house that you do not need or won't be used. It's wasteful. If you must do so, then use the "one in, two out" rule. Get rid of two things to bring in that one new thing. If you can't, then you know it's not important. Donate things that haven't been used in years. Ask yourself "Will I really use this someday like I keep telling myself?" when you know you haven't used it, or even remembered it in years. On the plus side, donating your unused items will give you a sense of fulfillment and accomplishment. Keeping your house clean and organized keeps your family healthy. For some people, the ability to de-clutter and stay organized becomes overwhelming. The simple act of collecting or saving items turns into so much more that it disrupts their way of living. This pattern of behavior is called hoarding and is characterized by excessive collecting of useless items. According to the Mayo Clinic, "Hoarding often creates such cramped living conditions that homes may be filled to capacity, with only narrow pathways winding through stacks of clutter. Some people also collect animals, keeping dozens or hundreds of pets, often in unsanitary conditions." Hoarding is a compulsive action and can be difficult to overcome, often requiring professional intervention. Most people with clutter around their homes aren't destined to become hoarders. But learning more about the condition serves as a good reminder to watch for signs in loved ones. Offer to help clear out a closet or basement if you notice their clutter piles or organization changing. Built to last: If it’s going to sit in storage for any length of time, cardboard won’t cut it! Mice love chewing up cardboard boxes for nesting material, and bugs like to eat the glue that holds the box together, so opt for hard plastic totes instead. For extra protection, throw a pouch of Stay Away® Rodents inside the container -- everything will have a nice, fresh scent the next time you open it up. Wash it first: Pests like moths and spiders love quiet, undisturbed places. Anything in storage is a dream home and the contents inside provide the perfect feast. Wash all towels, blankets, clothing and fabrics you’re planning on storing to make sure there’s nothing for moths to feed on -- moth larvae (the pests responsible for ruining your fine fabrics) don’t just feed on furs, silk, and wool -- they love any organic material like stray hairs, fur shed by pets, and sweat or body oils left behind. These steps will also ensure there are no stowaway spiders hidden in the folds. Put it on ice: If you’re storing delicate fabrics like a silk sundress or cashmere sweater, stick the garment in the freezer for a few hours first. Moths can’t survive the cold -- they’ll freeze to death and your clothing will live to see another season. Make room for more: Sometimes you don’t need to put things into storage, you just need a little more space with adequate ventilation to prevent the ideal moth infestation conditions of moisture + once worn items. A tie rack like this, or this, can be used for more than just ties -- try hanging tank tops, swim suits, or silk scarves from it to store a lot of items in a small amount of space, without leaving an open invitation for pests. Don’t let seasonal storage stress you out -- use these simple solutions to make life a little easier. As if being more organized isn’t enough of a reward, you’ll also be preventing pests naturally by removing the things they love most: easy access to food and cluttered places where they can hide. For extra protection against household pests (and a fresh scent too! ), you can use a natural pest repellent like Stay Away®. You’ll feel confident knowing that your home is free of pests and poisons while storing your stuff the right way. string(50) "Clear The Clutter And Keep Mice From Getting Cozy."